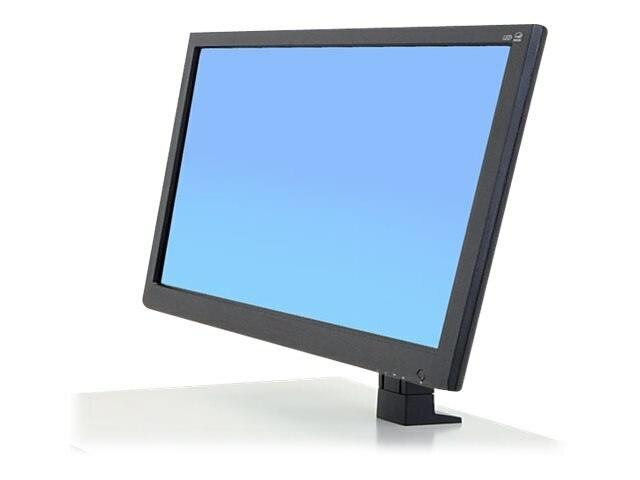 Upgrade your WorkFit to hold a larger LCD above the desktop. Offers 5" (13 cm) of height adjustment and tilt. Easily lift and tilt the screen to proper height for unsurpassed ergonomic comfort. For use with WorkFit-T and WorkFit-PD products. Holds display above worksurface, freeing up space. Patented CF motion technology provides premium ease-of-use display adjustment. Increase viewing comfort by reducing eye, back and neck strain. For displays up to 30". Max weight capacity of 16-28 pounds.